1. That the summary of performance for Quarter 1 of 2017/18 for Key Performance Indicators (KPIs) be noted. 1.1 The Communities, Housing & Environment Committee is asked to review the progress of key strategies, plans, and performance indicators that support the delivery of the Strategic Plan 2015-2020. The Committee is also asked to consider the comments and actions against performance to ensure these are robust. 2.2 Following the refresh of the Strategic Plan for 2017/18 the Committees agreed 28 Key Performance Indicators in April 2017. 3.1 There are 28 key performance indicators (KPIs) which were developed with Heads of Service and unit managers, and agreed by the four Service Committees for 2017/18. Nine of these relate to the Communities, Housing and Environment Committee. 3.2 Overall, 57% (4) of targeted KPIs reported this quarter achieved their target for quarter 1. For 50% of indicators, performance improved compared to the same quarter last year, where previous data is available for comparison. 4.1 The Environmental Services team attended 131 reports of litter during the first quarter of 2017/18. The litter reports were predominantly for Tovil, Fant, and Shepway. 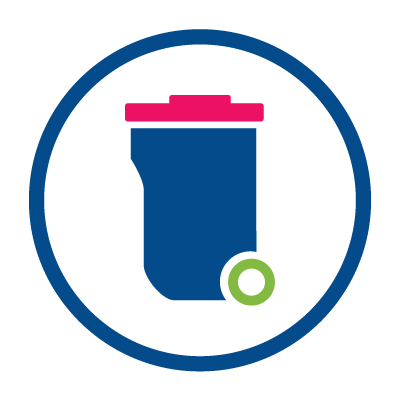 The Cleansing Manager is reviewing litter bin placements and cleansing schedules to identify possible improvements, and reduce the number of service requests we receive. 4.2 The Environmental Services team also responded to 88.8% of fly-tips within two working days. Changes are currently being made to the Enforcement and Street Cleansing team to create a new Waste Crime Team. The new team will work collaboratively to gather intelligence and remove fly-tips more quickly. The majority of fly-tips occur in urban and residential areas, and the new team will explore ways to tackle this. We are also planning to increase awareness of Duty of Care requirements for residents and businesses, and warning against the risks of using un-licensed collectors. 4.3 We sent 52.67% of household waste for reuse, recycling, and composting in April and May of 2017. This is above the target of 52.5% due to increasing levels of garden waste and mixed dry recycling. The contamination rate reduced to 7% in June as a result of ongoing communication campaigns and engagement. The recycling of street sweeper arisings is also boosting the composting rate, and plans are in progress to increase the recycling of litter through new on-street recycling bins. We currently have the second best recycling rate in Kent and are above the national target of 50%. 4.4 During quarter one, 10% of fly-tips with evidential value resulted in enforcement action. The enforcement action rate for the first quarter was low due to staff absence and the transfer of responsibilities to the Waste and Street Scene team. Changes have now been implemented to the Environmental Enforcement team with a Waste Crime Officer based within the Waste and Street Scene team. This has already resulted in an increase in collaborative working, the sharing of intelligence, and a number of enforcement actions being taken. It is expected the action rate will be above target for the rest of the year. 4.6 There were 39 affordable home completions for the first quarter of 2017/18, against a target of 50. We forecast there to be over 200 completions for the financial year, and expect performance to improve throughout the year. The remaining quarters should make up the shortfall, and we expect that the target of 200 completions for the year will be achieved. 4.7 We housed 124 households through the housing register during quarter one of 2017/18. We have not achieved the quarterly target of housing 150 households. This is due to a lower number of properties becoming available through Registered Providers, and a smaller amount of new build units being completed. 4.9 There were 84 households in temporary accommodation on the last night of quarter one. This has seen a steady decrease since quarter two of 2016/17, despite the service seeing a 59% increase in homelessness applications. Of these 84, 62 are in nightly paid accommodation, with the remainder in stock owned by the council, or units provided by Registered Providers. 5.1 The Strategic Plan Performance Update will be reported quarterly to the Service Committees; Communities Housing and Environment Committee, Strategic Planning, Sustainability and Transport Committee, and Heritage, Culture, and Leisure Committee. The report will then go to Policy & Resources Committee following these meetings, with any feedback from the other Committees. 6.1 The Council could choose not to monitor the Strategic Plan and/or make alternative performance management arrangements, such as the frequency of reporting. This is not recommended as it could lead to action not being taken against performance during the year, and the Council failing to deliver its priorities.